This post summarises the advice I give to people fighting Bartercard, a highly litigious company and somewhat lacking in ethics, to put it mildly. In essence people tend to expect others to think and operate in the same way and to the same standard as they do. As most people play fair, are reasonable and believe in honesty, integrity and so on, most therefore misjudge any fight they may have with these crooks. I also give an update and small commentary on the recent sale of Bartercard back to the crook[s]. Enjoy a good strong dose of reality right here. 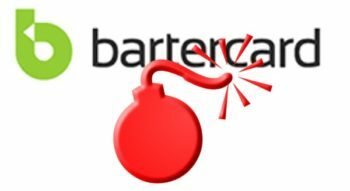 Bartercard is an Australian creation, founded some 30 years ago. It has had a tumultuous history, particularly in the last decade. Following two failed efforts to ‘go global’ and one short spell as an Australian public company, it now exists as an Australian and New Zealand barter organisation now back in private ownership. It and any entity that has owned it has suffered in the last decade as it has stridently downsized year upon year in all metrics – turnover, membership size, satisfaction and profitability (although drastic action by it’s last owners culling deadwood may have turned it around slightly. An unmitigated disaster, for [recently] ex-owners of Bartercard – ASX:BPS now ASX:INP share price down to only 12c. I have blogged extensively about the massive devaluation of their currency – irreparable debasement through consistent theft by the currency managers in the hundreds of millions of trade dollars. The recent selling off by ASX:INP is proof positive of how toxic this Bartercard Beast actually is. 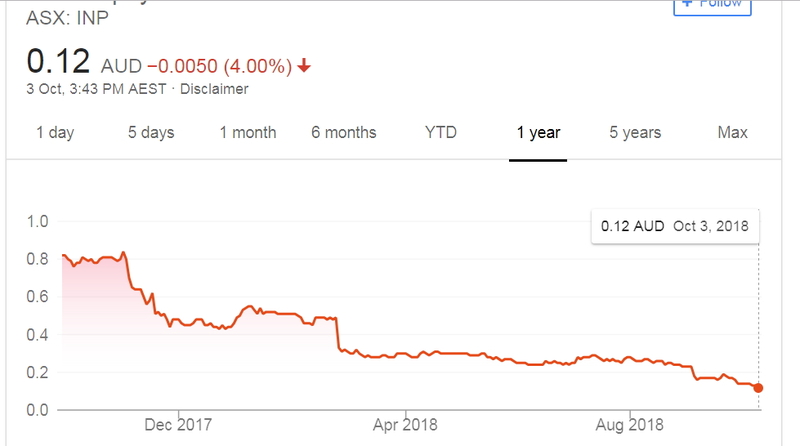 Iain Dunstan’s introduction to the ASX:BPS disaster (for the shareholders anyway) showed this up for what it really was – something I’ve said repeatedly from the outset – all BS! * He fired the Directors, confessed to company fraud, cut costs, squeezed the crooked management and generally tackled the B/Beast head on . . . In summary one investor found out in 2017 that they were dealing with crooks, so there was a huge scrap for power between the foxes and one major investor which the remaining crooks won. The loser of that power struggle bailed, crashing the share price. Trevor Dietz got caught with his hand in the till and was walked (the plank);, then the rest of the investors hauled in a new CEO who gave the rest of the crooks on the Board their marching orders (“Thank you for your service!” sort of thing). Iain was billed as a ‘good guy’ – a top operator called in to sort the sh*t out and get this company back on track after the corporate investors’ realisation that they were being fleeced by the Smiles in Suits. His approach flushed a few cockroaches out as he muscled his way around the house spring-cleaning. With the crooks at the top gone, he tried to sort things out – layoffs and ‘other’ exits (did they jump or were they pushed, sort-of-thing), culling the USA and the UK operations as they were dead wood and a distraction and a drain, and then sorting out a million problems from years of nonsense from pretend-leaders. Iain told me that he gave the Bartercard team until the end of June 2018 to tell him how they would sort out their problems. “Look at the difference between your currency holders in debit and credit, Iain, to see the real situation there mate!” was my kinda advice. That he sold the Bartercard Beast shortly after tells all doesn’t it? Why would a guy specifically called in to turn things around want to sell something if it is making money and is supposedly back on track? Forget any marketing spiel around this sale, folks – I’ll tell you exactly why this ‘top’ CEO sold it . . . he’s been reading this blog; talking to me; worked it all out; and he’s found out that Bartercard is NOT what it claims! Oh sure, it may be a cash cow now, but it’s an utter con at its core. As an aside, the sale of Bartercard back to one of the Smiles in Suits should get the thinkers asking questions. “Why?” The crooks got their money and yet they want to get back into something for sale that has supposedly been cleaned up and made profitable. On the surface this doesn’t make sense. If Iain had sorted the problems out then why would he want to sell it, and back to the same crooks that he had previously removed. Smell a rat? Was this even a setup from the outset? After all, we knew way back before Iain was appointed that the Smiles in Suits were angling to buy Bartercard back from Administration, so perhaps Iain was indeed in on it all and this was no accident? That’s exactly the things that tricky dudes do at Boardroom level all the time. The reason that barter appeals to people like the Smiles in Suits is not actually bottom-line profit of the company. It is that when you own/run a currency you have leverage opportunities in excess of those that the cash economy provides. Because there is no accountability in the barter industry, the crooks at the top use the credit of their members as leverage for personal benefit. This is not just straight theft of members’ value within the trade organisation, this increases opportunity exponentially and the Bartercard Boys are highly skilled at this leverage. If Iain played it straight he would have seen a massive trade deficit – something that could never been paid off in a million years – and wanted to dump it ASAP. 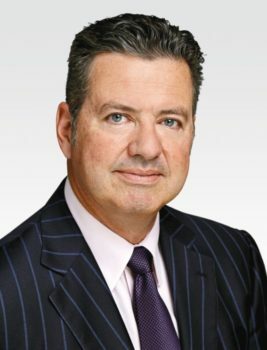 He wouldn’t be ABLE to sell it on the open market without due diligence showing its Achilles Heel, thus the only potential buyer would have been the ones that knew about the trade deficit [but who didn’t care, because they know how to conceal debt from decades of doing exactly that!]. I don’t know yet whether this was an actual setup by all the parties or whether it was an unfolding situation for the new guy. I suspect the latter but cannot be sure at this stage. One clue is that the new CEO bought in to ASX:BPS big-time personally with the shares at 28c when he first took the job. That’s a serious commitment on his part, but he too appears to have misjudged things, or has been conned because they fell – again badly as per my predictions. Then again he took another whack at it, personally buying more shares at 18c after quitting the Bartercard Beast** (probably thinking that the worst was over) but they’re now 12c!! Red faces all round, methinks, unless of course this was all planned. Actually, with cash in the bank and Bartercard now gone from their stable, ASX:INP would be on my ‘buy now’ list at 12c if I was an investor, but I’m not. I’d also probably be a target for claims of insider trading too if I bought! I think Iain’s got a lot on his mind at the moment but a lot of the miserable performance of ASX:INP probably has as much to do with his poor communication with the markets, than anything else to do with running ASX:INP. You can never know the full story from the outside, but all the clues as I see it point to a truckload of PROBLEMS – one after the other. In other news, back at the coalface, the conflict between this Bartercard Beasty thing and disenfranchised members has kicked along quite nicely. The typical conflict is this . . .
Bartercard will list the debt with the CRA and undertake court action to collect the cash owing. There are minor variants on this scenario but it is a typical one. I’ve shared previously about fighting Bartercard in court. Most Bartercard members will stay in the system well after they realise that they have been ripped off. This is human nature for none of us like admitting that we’ve gotten conned or made a mistake. We’ll ignore the legal warnings and then do research after the event. It’s never too late when you have truth on your side but even when faced with reality many do not choose to push through – often the pain is too great and they simply want their decks cleared, so to speak! Bartercard pay their lawyers with ‘funny money’. People often do not realise this – that they use the very credit that comes from their members to benefit/protect themselves! Nice eh? A Trade Debt is still a debt. Morally it is a debt to the other members of the system, although knowing that Bartercard converts anything it can get its hands onto into cash for its own purposes means that when the cash comes in from a successful cash-conversion from your bank account, it’s very unlikely to go back into the trading system to balance the trading books – think about it – really?! Most people are not up for a fight. BC know this and if they can screw around with you by lodging a CRA default; threatening you; making your life difficult and so on, they will. If they think that they will get a few bucks out of you by using the court system, they will. They know how to do this from decades of practice. On the other hand, if you are a fighter and are smart, and like to push through no matter the costs like I do/am, it can be a real ‘hoot’ engaging with them. They are fun to fight. Most people fighting the Bartercard Beast are hugely wound-up about it all. But think of it all as a game, and not a life-and-death issue, if you can, for after all they do! After a day at work they can easily go home and make babies without a care in the world. It’s their job – they get paid to do what they do after all. Always remember this. Engaging in a legal sense, especially when defending against what appears to be a strong case against you can be demoralising. Remember though that many little people HAVE won against the Bartercard Beast. David won against Goliath against all apparent odds because he knew something that the rest didn’t. Knowing that the Bartercard Rules are onerous and that if FMV differs from on par, then legislating the value of a trade dollar by fiat creates an [illegal] penalty situation and therefore this breach of contract on Bartercard’s part can give you (or your lawyer) the upper hand. Conflict situations contain two sides. Just because they are suing you doesn’t prevent you counterclaiming what they owe you for their indiscretions. Very often I have found that clients’ spirits lift enormously when we collate their losses as a result of Bartercard’s misconduct and they can see that a counterclaim is viable. Particularly important in this exercise is to realise that a verbal agreement is legally binding, so that if you have done something on the basis of what the Beast said, and then the situation changed to your disadvantage, then this is totally actionable legally. Of course this must be proved in the balance of probabilities in court, but he said/she said arguments are what the court deals with all the time. Judges are skilled in working out facts from within the murk of conflict. I’ve found Bartercard to be very obliging when they have their backs to the wall. They just want their pound of flesh, and as much as they can get. I’ve fought them more than once, both by way of blogging, in the industry and in court – myself and with others. I’ve yet to lose. When they actually have to do something, they generally do, but it takes a lot of energy to stand and fight them and they are slippery dudes at the best of times. It remains to be seen what the shape of their operations will be now that it is back out of public company ownership. I have every intention of exposing them for better or for worse, every inch of their corrupt way. Thanks for listening. I hope this has helped you either understand the Beast or your fight against them. Chin up. You are not alone. 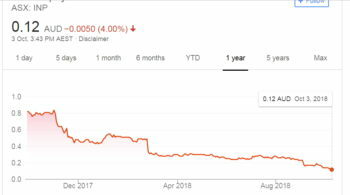 * Bartercard was bundled into ASX:BPS with a failed wholesale barter software Tess (endorsed as the best in the business by a dodgy IRTA deal) and another failed Bucqi loyalty programme and taken public. Pre-subscribed by another dodgy deal done to divert pension funds into the ‘Smiles in Suits’ pockets, ASX:BPS shares (as I predicted) dropped to [currently] 12c! ** ASX:INP sold the Bartercard Beast back to a company associated with Tony Weise which is interesting – the significance of this is profound – He was one of the crooks evicted from the Board for cooking the books revealed in the Q1, 2018 ASX:BPS confession! He was also one of the Smiles in Suits that I had been blogging about for years. So it seems that Tony Weise got that which he wanted – cash from the BPS sale and he got back the Bartercard Beast as well. It’s perfectly possible that the other crooks are also in the wings as it was always their intention to get it back after a fire-sale. Time will tell and I’ll update as the news trickles in to the Tipline.